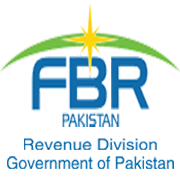 KARACHI: Directorate General Customs Intelligence & Investigation has submitted its report to the Federal Board of Revenue (FBR) confirming large scale misuse of Green Channel facility, which resulted in a colossal loss to the national exchequer. Chief Justice of Pakistan took a suo moto action on a complaint pertaining to corruption and revenue evasion through green channel and ordered an inquiry into the matter. FBR advised Directorate General Customs Intelligence & Investigation to submit its report. Directorate General Customs Intelligence & Investigation placed on record that Green Channel facility has been mercilessly abused by some syndicates of unscrupulous importers and the possibility of connivance of few customs officers cannot be ruled out. The above comment emanates from the Directorate General’s experience of detection of Green Channel related cases and adverse reaction of some officers/officials in Customs hierarchy. 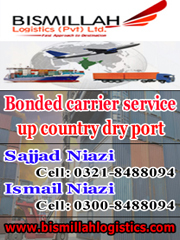 The Directorate General also mentioned in the report that strong recommendations of placing under suspension some Customs officers/officials suspected to be involved in facilitating the misuse of Green Channel facility by some fraudulent importers repeatedly made by the Directorate General have been ignored by FBR. Thus, the manipulators inside the department do not feel discouraged enough to refrain from extending their helping hand to the fraudsters. In addition to the above, it is pointed out that the Directorate General’s repeated written and verbal requests for issuing clarification in favour of jurisdiction of the Directorate General with regard to the consignments “gated out” in the WeBoC system are pending with FBR since January, 2016. 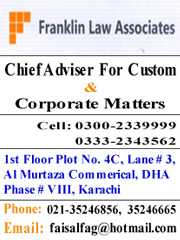 Resultantly, whenever the Directorate General detected cases of misuse of Green Channel in the recent past, collectorates particularly MCC East Karachi, MCC West Karachi, MCC Port Qasim and MCC Appraisement Lahore have reacted sharply against the action taken by the Directorate General of Customs Intelligence & investigation and attempted to protect the fraudulent importers. Directorate General Customs Intelligence & Investigation notes that non-action on part of FBR and adverse reaction of collectorates practically placed hurdles in the way of the Directorate General Customs Intelligence & Investigation to effectively check the misuse of the green channel facility at ports. Sources said Chief Collector Appraisement South had effected clearance of 70 percent of the imported cargo through channel facility, while he issued verbal instructions to the appraisement staff not to do examination of the imported consignment and also barred them from calling mandatory documents. It is estimated that in the last two years, government exchequer suffered a loss to the tune of over Rs500 billion due to the misuse of the green channel facility. Sources claim that Chief Collector backed by men in government was running the entire show and even the Member Customs and Chairman FBR were helpless and turned a blind eye on all the questionable doings. 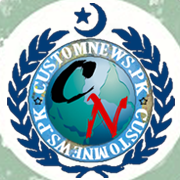 Director General Customs Intelligence & Investigation Shaukat Ali noted there is a lot of weight in the complaint to the extent that the green channel facility at the ports have been excessively misused and recommended urgent action to arrest haemorrhage of state revenue. 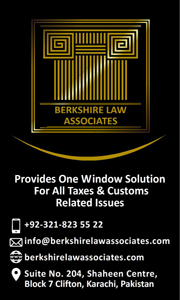 Tagged Chairman FBR, Chief Justice of Pakistan, controlled smuggling, Customs Intelligence reports, DG I&I, FBR, FBR backed corruption, green channel facility, large scale misuse, Misuse, national exchequer, suo moto action.